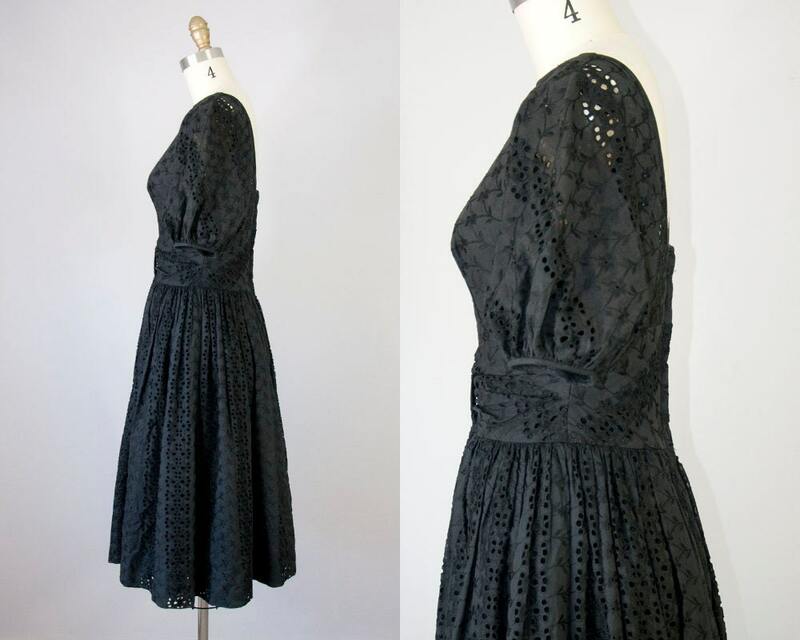 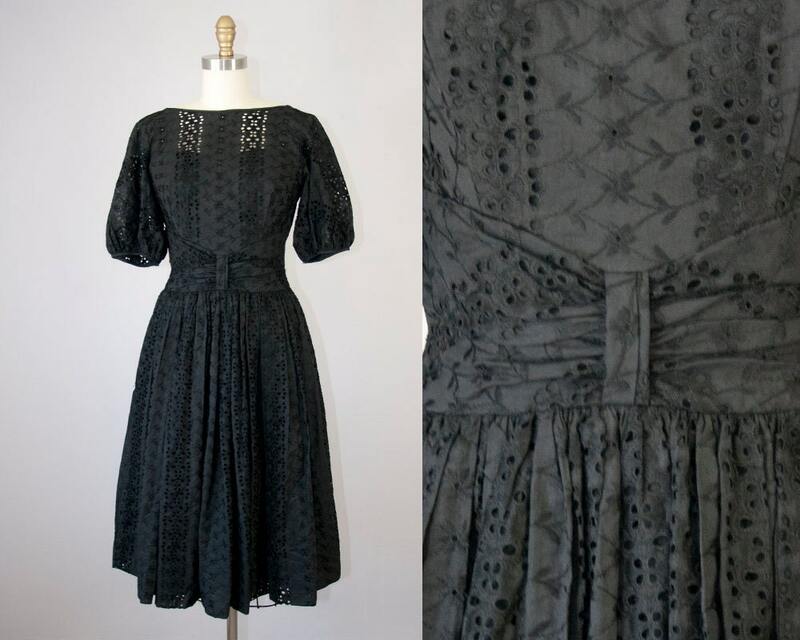 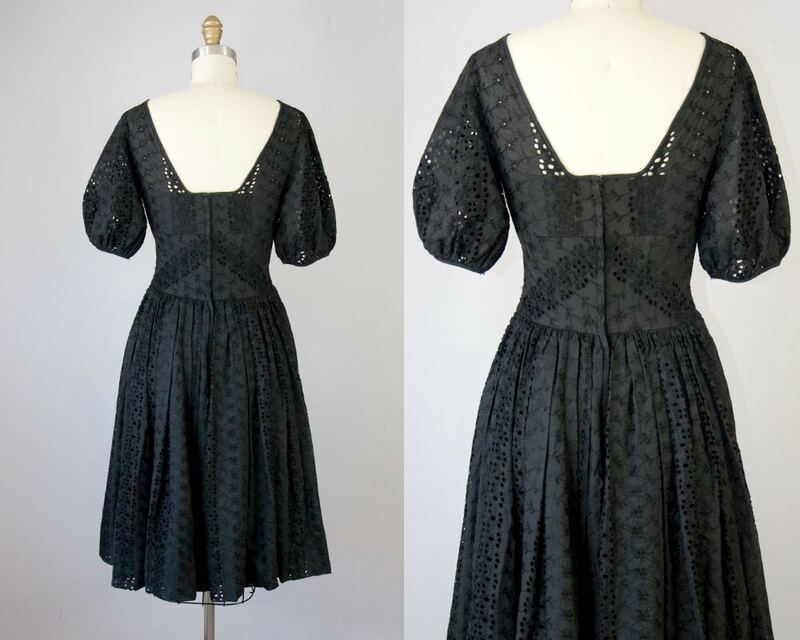 60s vintage black eyelet cocktail dress. 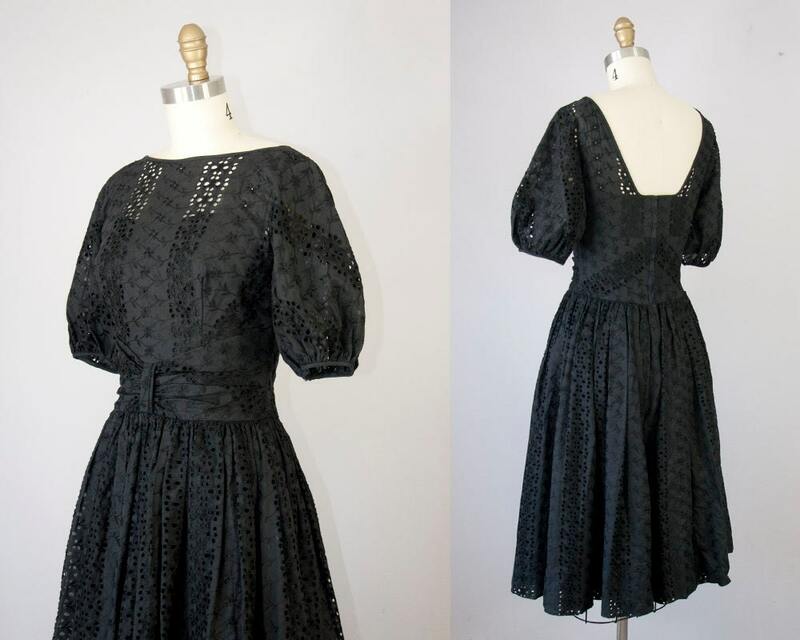 Fully lined with a black satin with a sweetheart bust line. 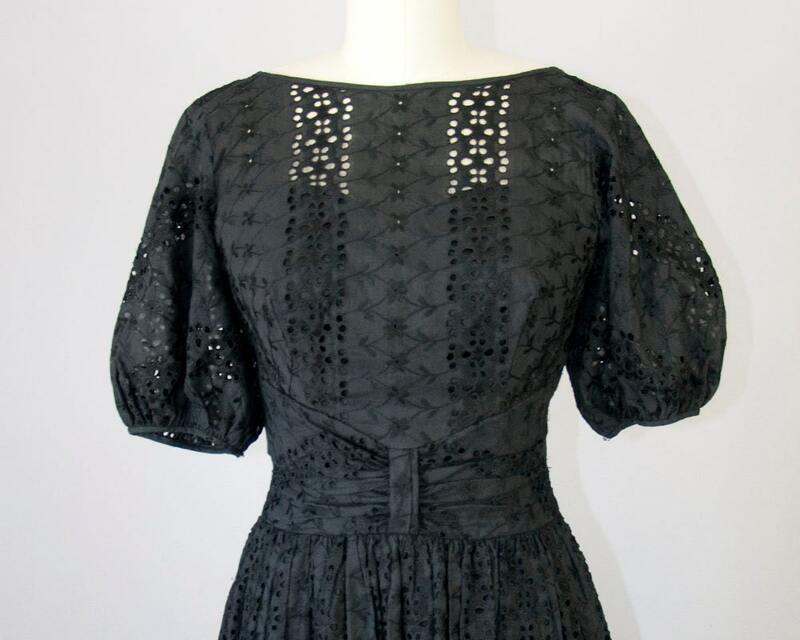 Metal zipper closure down the back.